The Praxis II Physical Education: Content and Design exam is based on the teacher preparation standards by the Society of Health and Physical Educators (SHAPE America) and assesses the knowledge and competencies necessary for a teacher of physical education from elementary to high school. While each section is not independently timed, a good time management rule is to take 60 minutes to complete the selected-response questions and fifteen minutes per short essay. 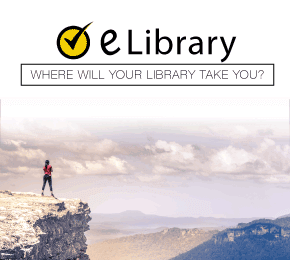 The exam questions will test your knowledge of essential facts, definition of terms, understanding of relationships in areas of content, and the ability to apply concepts. You will register online for your Praxis examination. The cost is $146.00 and paid via MasterCard, Visa, debit card, or PayPal. The exam is offered year-round during specific testing windows and is a computer-based test (CBT) delivered at a testing facility. There are facilities in 40 states and select locations internationally. When you register, make sure you use the name as shown on your identification. Print the admission ticket that you’ll receive from Praxis after you register online. The testing facility address and exam time will be on your ticket. On the day of your exam, arrive 30 minutes before your appointment and leave all personal belongings in your vehicle. At the testing facility, you will present your admission ticket, and a valid form of identification that has your photo, signature, and name. The ID must not be expired and the signature and photo viewable. There may be additional verification steps such as biometric voice, finger/thumb printing, video recording, and signature comparison. If you wear glasses, you may be asked to remove them for visual inspection. After your ID is verified, the test proctor will take you to your station, and you will have 30 minutes to become familiar with the computer functions. The proctor will provide you with scratch paper and a pencil. You cannot bring in anything to the testing center. If you have any questions or need more scratch paper, raise your hand, and the test proctor will come to you. The proctor cannot answer test-specific questions. Once you enter the testing center and take your seat, you are not allowed to talk to any other test taker. Failure to follow the test center rules could result in the cancelation of your test and your registration fee forfeited. If you have health-related issues that require snacks, beverages, or equipment, you must make accommodation in advance. When you register for the exam, you may select four institutions or licensing agencies to receive your results at no cost to you. If you test in one of the 40 states that Praxis has an agreement with, your results are automatically transmitted to the Teacher Credentialing Agency of that state. Your score will be available online 10 to 16 business days after the testing window closes. Your score will be a result of the number of correct answers you provided and, you are not penalized for incorrect answers. Each state has specific requirements for a passing score. Some testing centers may be able to show your unofficial score report immediately after you complete the exam. Check with your testing center to see if you will be able to view your results at the testing center. Praxis is recognized nationwide, and your results can transfer from one state to another. For example, if you take the test in California and a year later you move to Colorado, your score will transfer with you. If your score meets your new state’s requirements, you will not have to retake it. You have invested time and money in your education to become a teacher, the last thing you want is more to spend even more time with endless studying. 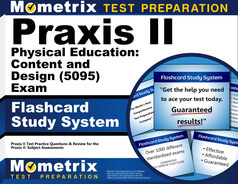 With the Praxis Exam Secrets Study Guide and Praxis Exam Flashcards, you don’t have to. 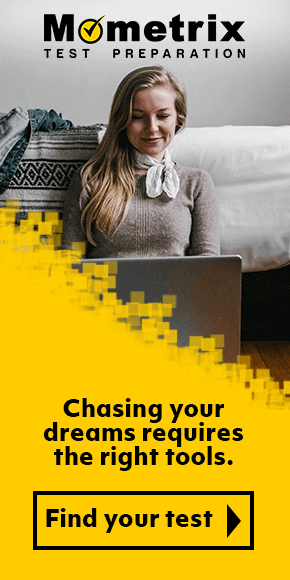 Mometrix’s test experts have conducted in-depth research into the concepts and subjects you’ll encounter on the exam, giving you the peace of mind knowing you’ll be able to confidently, and successfully, pass the exam and start your career. Mometrix is so confident in their study methods that they offer a 100% money-back guarantee. Mometrix Academy is a completely free resource provided by Mometrix Test Preparation. 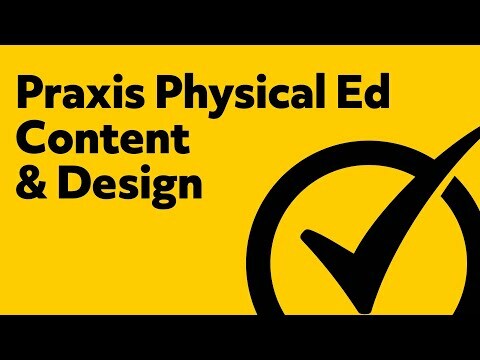 If you find benefit from our efforts here, check out our premium quality Praxis II Physical Education: Content and Design (5095) study guide to take your studying to the next level. 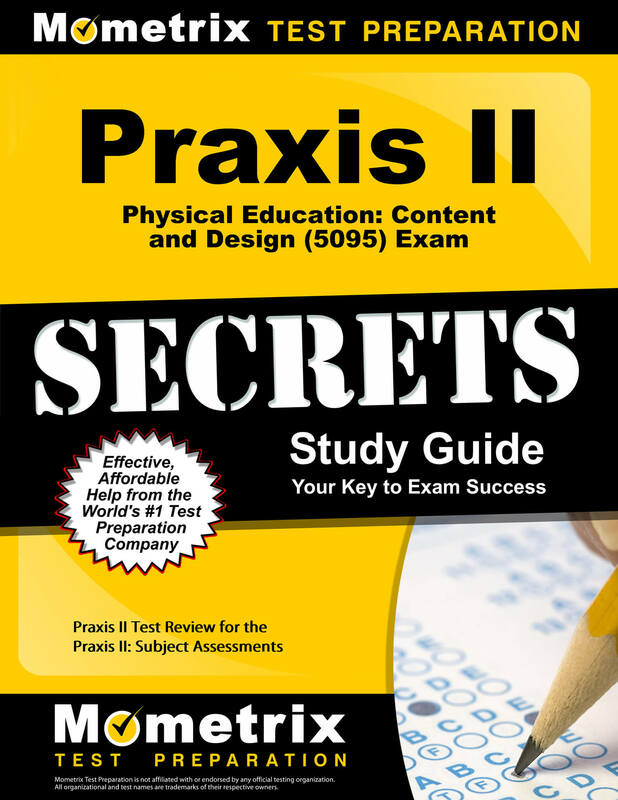 Just click the Praxis II Physical Education: Content and Design (5095) study guide link below. Your purchase also helps us make even more great, free content for test-takers.